How to Make Bacon in the Oven — Why Baking Bacon Always Works! How to Make Bacon in the Oven — Baking Bacon Works Perfectly Every Time! Want to learn how to bake bacon in the oven so it turns out perfectly every time? You’re in the right place! Watch the video tutorial below and get step-by-step instructions for this no-fail approach to baking bacon. I am a bacon snob. When I first discovered the concept of baking bacon, I was intrigued. It wasn’t until I found this specific approach to cooking bacon in the oven that I was convinced baking bacon is THE BEST way to make it every time. Why are people cooking bacon in the oven instead of frying it? There are three primary reasons why cooking bacon in the oven is so popular. The bacon is evenly browned — Making it perfectly crisp. You’ll end up with nice flat bacon strips — Making it wonderful for sandwiches. The process is hands-free — So you are able to focus on your family or another breakfast recipe once the bacon is in the oven! What supplies do I need for cooking bacon in the oven? And of course — BACON! Why is this particular approach to oven baked bacon THE BEST? I’ve been experimenting with how to make bacon in the oven for quite some time. When I saw this video tutorial (below) I immediately realized the brilliance of “the second cookie sheet.” This simple kitchen hack helps ensure perfec, browned, crips bacon every time. Here’s a quick video tutorial on how to bake bacon in the oven. 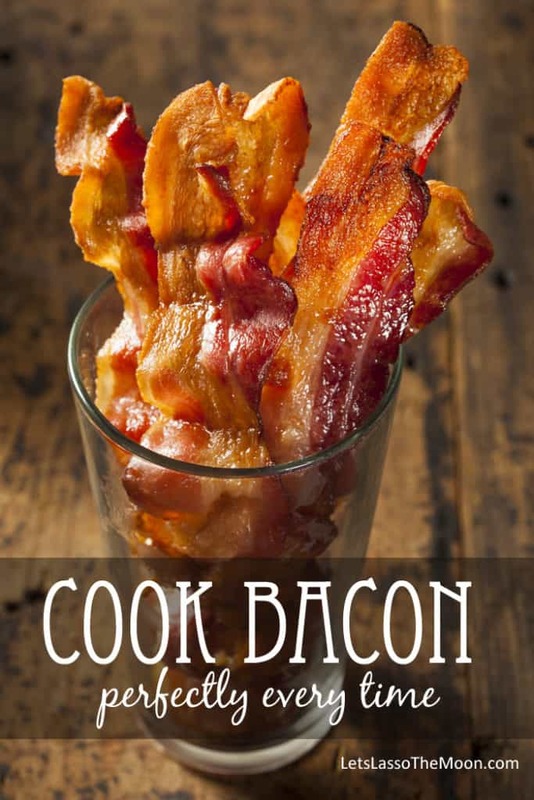 Scroll down for printable instructions for baking bacon! Can’t you smell it already?!? Nom. Nom. Nom. Oven baked bacon is the best! Line baking sheet with foil or parchment paper and add baking rack. Lay bacon in a single layer, cover with parchment paper, then place another baking sheet on top. Happy people live longer. Bacon makes people happy. Therefore bacon makes you live longer. Snaccident — When you eat all the baacon on accident. 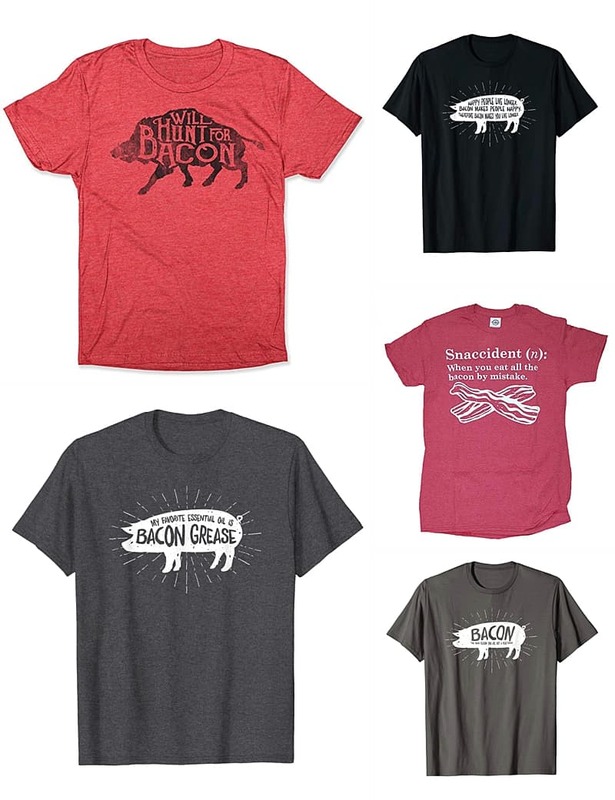 Bacon — The main reason you’re not a vegetarian. Hope you enjoy the baked bacon, my friend! otherwise what a great idea!